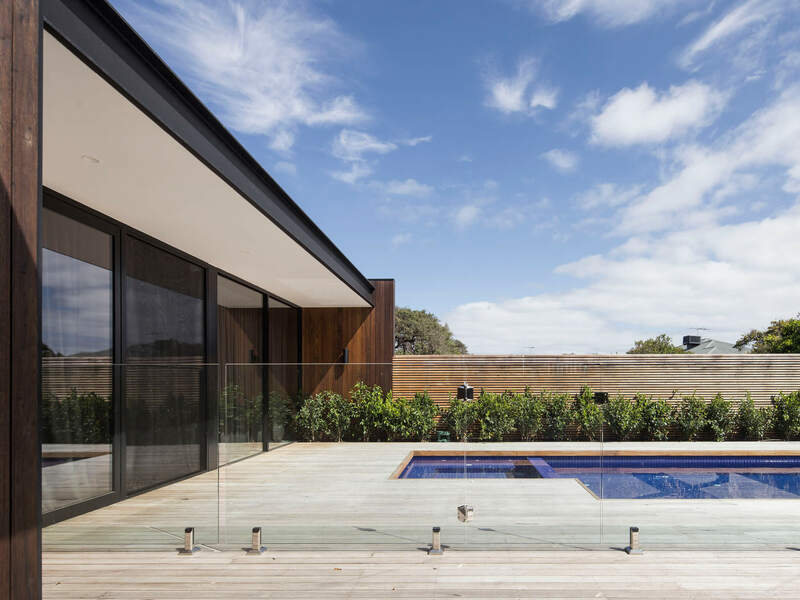 Situated in the heart of Sorrento, this sophisticated beach house has many architectural features. 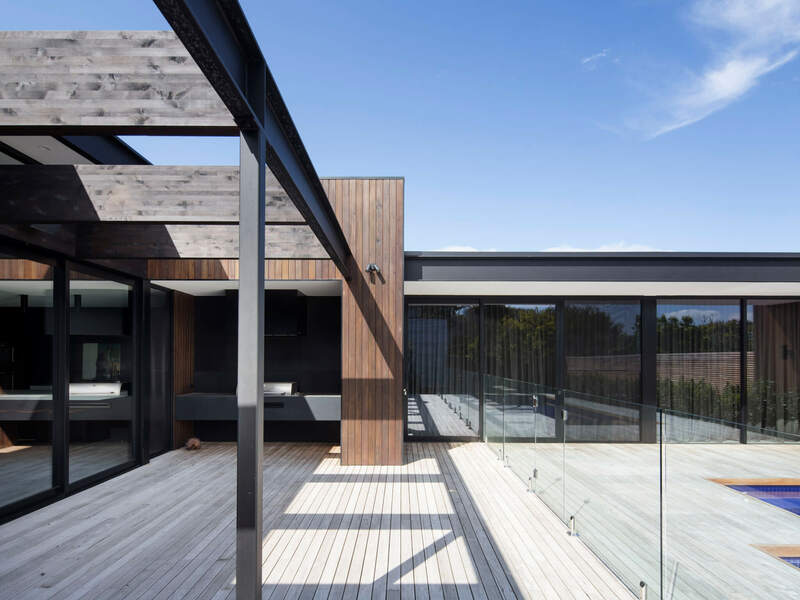 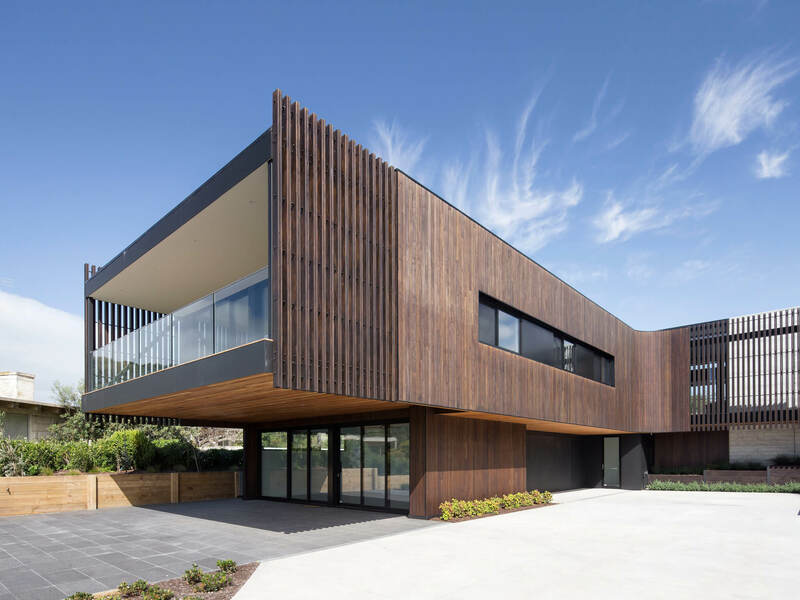 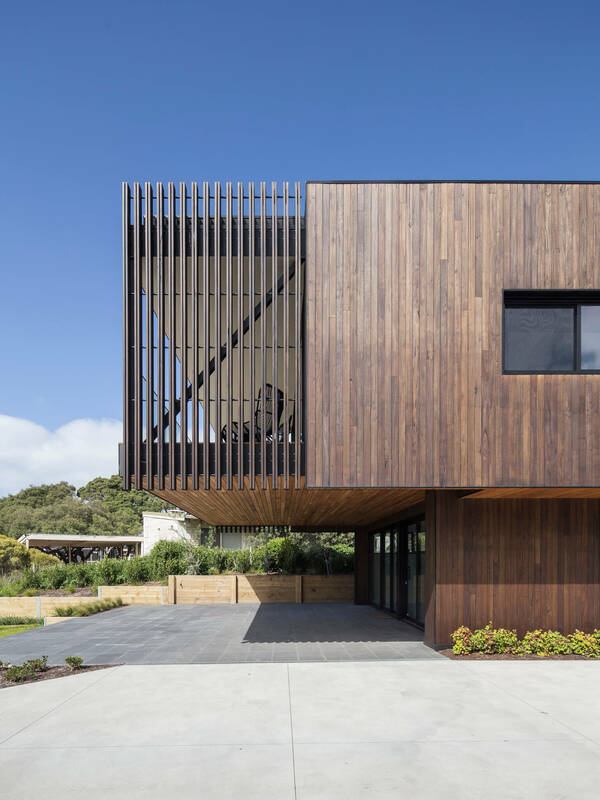 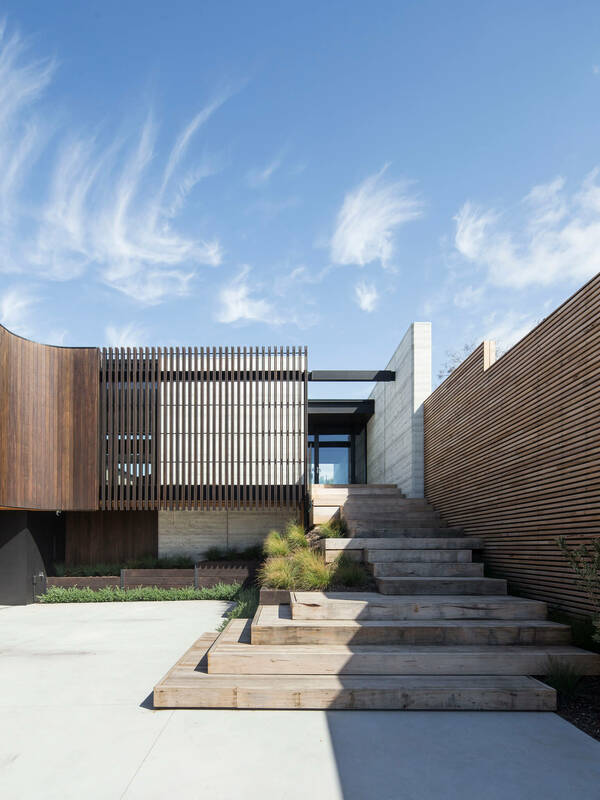 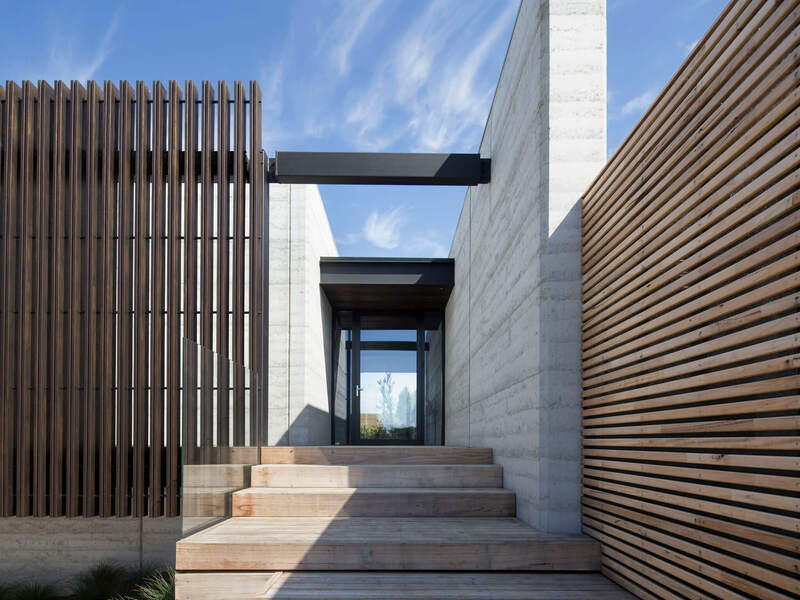 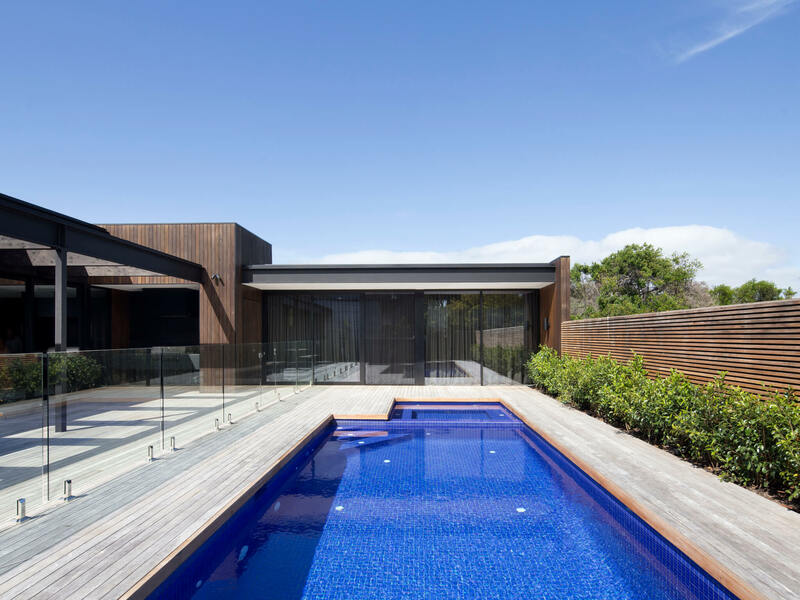 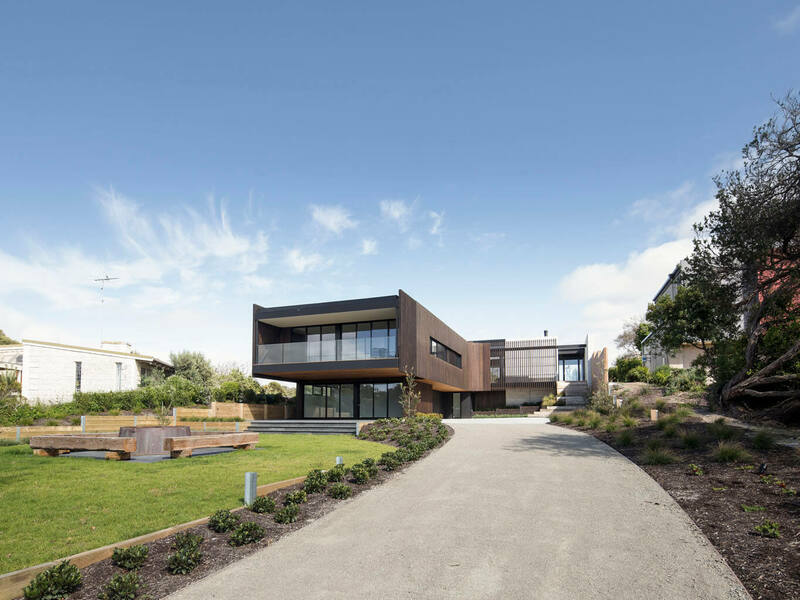 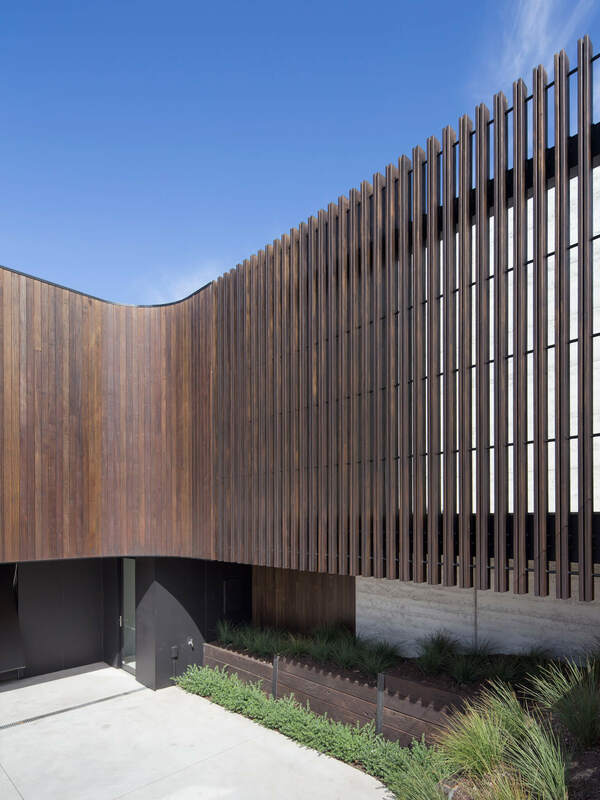 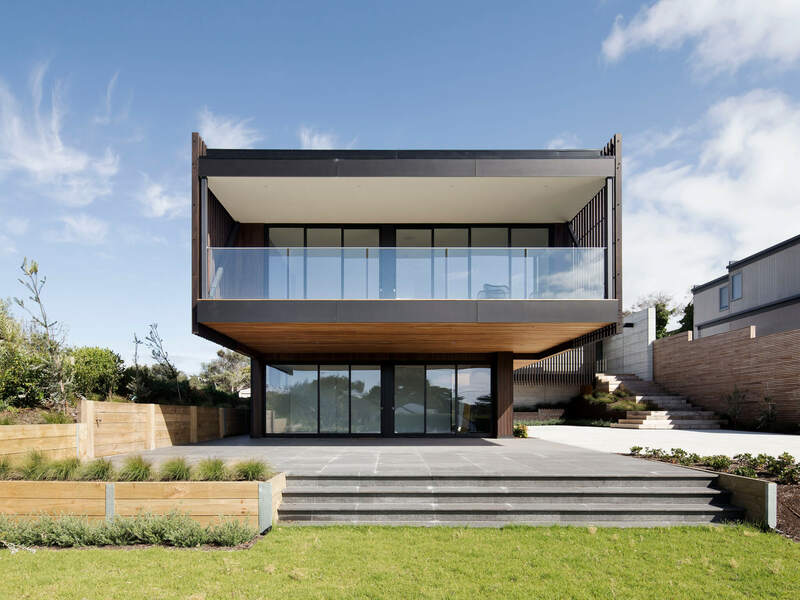 The home’s footprint is elevated from the streetscape and includes a 7.0 unsupported cantilever with 4.2m high timber screens to decorate the front façade. 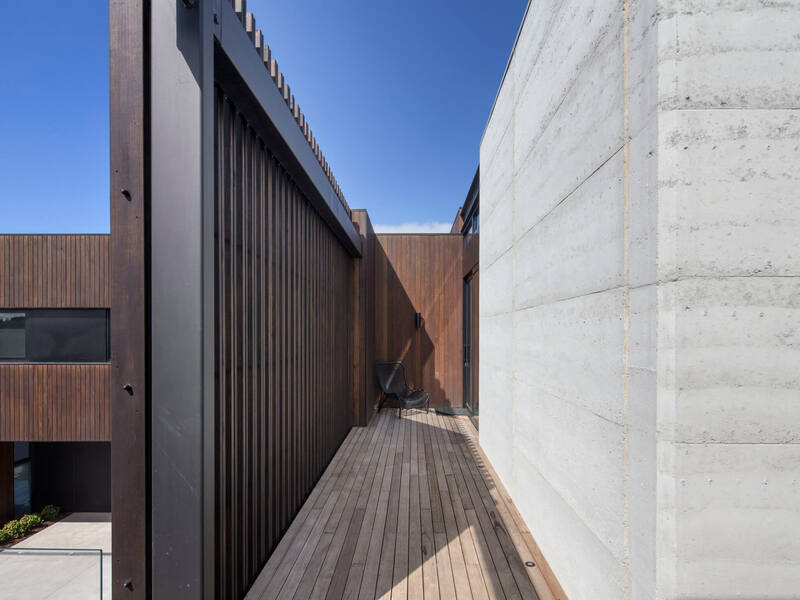 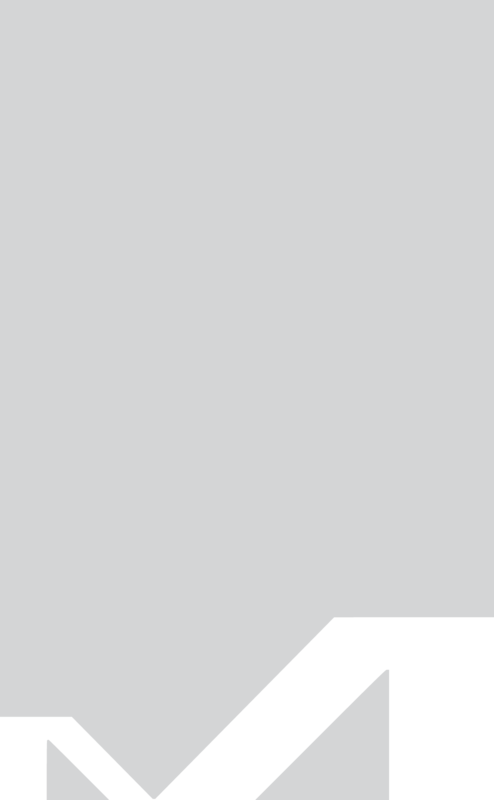 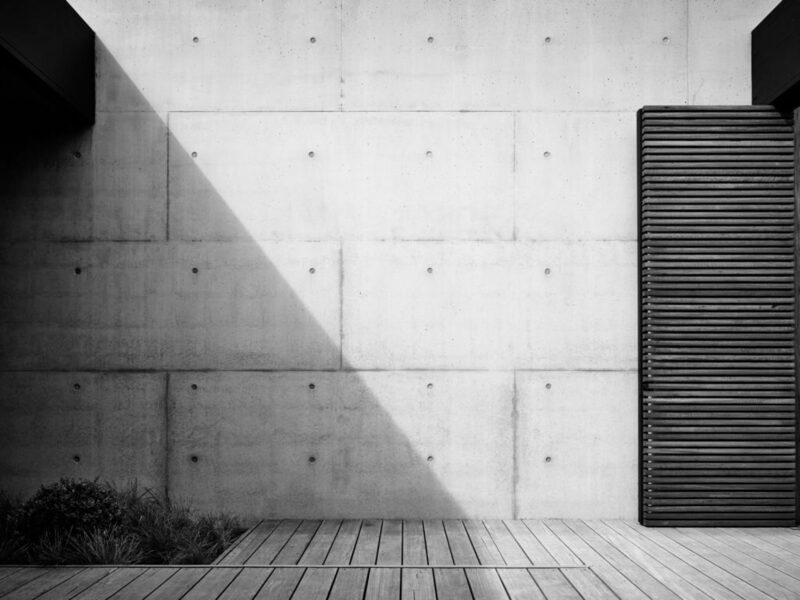 The entrance is accessed from a series of decking platforms built into the natural slope of the land. 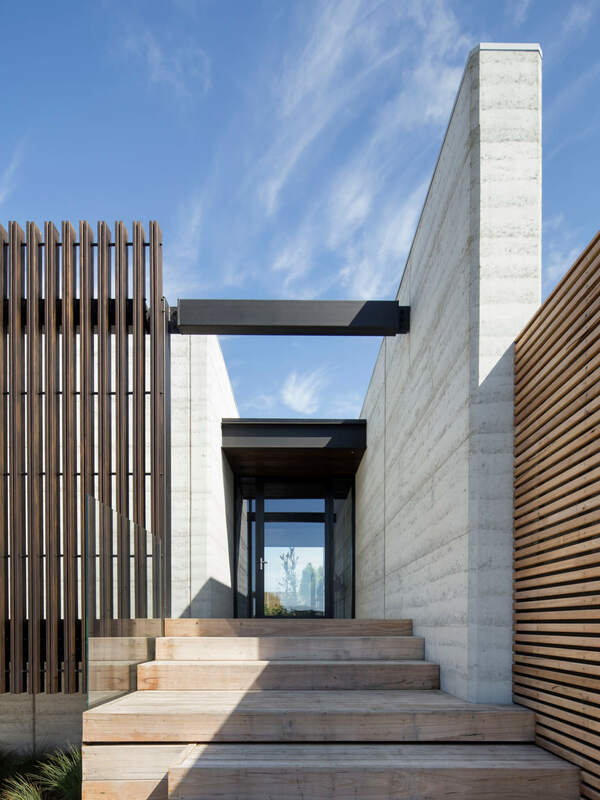 The inside to outside rammed earth wall transitions from the front entry into the main living room. 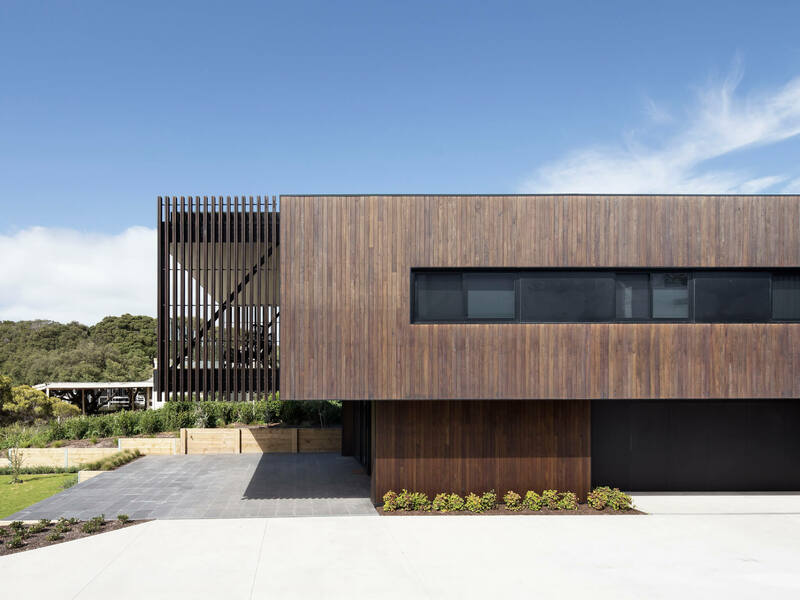 The house is clad in Silvertop Ash Sorrento profile stained with Cutek Black Ash. 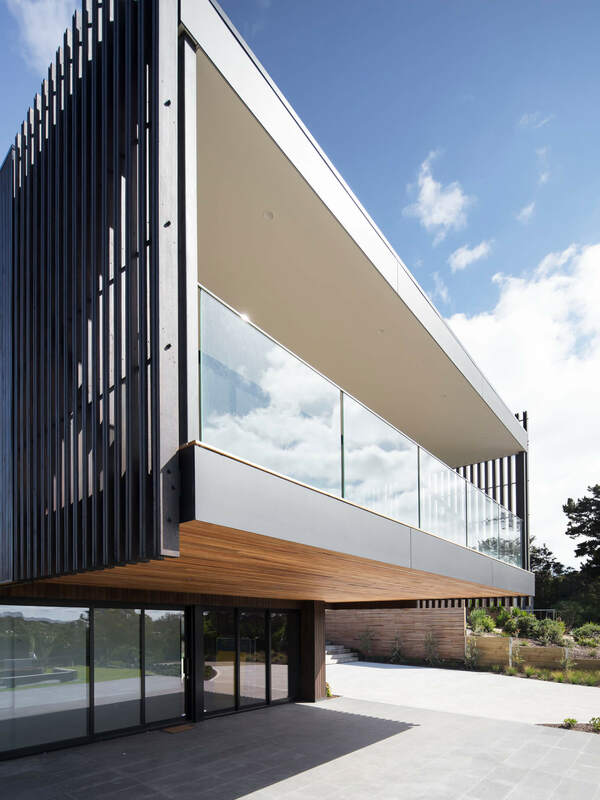 Large format solid Silvertop Ash battens covers the entrance and are incorporated to form the balustrade on the balcony cantilever. 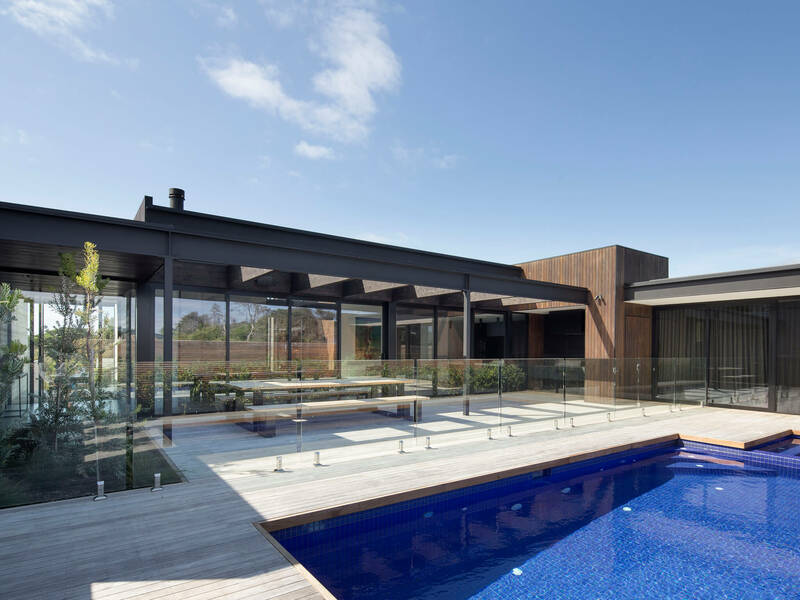 A large outdoor entertaining / pool area is accessed by floor to ceiling stacking sliding doors from the kitchen and main living area.